Daria is the Managing Partner of Lord Abbett & Co LLC, an independent, privately held investment management firm that manages over $135 billion in assets. 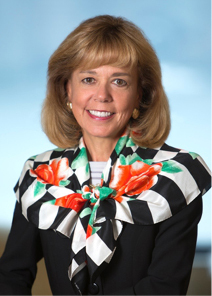 Daria is also President and Chief Executive Officer of the Lord Abbett Family of Funds. In addition, she serves as the Director of the Lord Abbett Passport Portfolios plc, a pooled investment fund organized in Ireland and regulated by the Central Bank of Ireland. Lord Abbett is committed to having a positive impact on the communities where we do business. As a firm headquartered in Jersey City, New Jersey, we’ve been actively engaged in charitable efforts in New Jersey and New York City for many years. Having launched the Lord Abbett Passport Portfolios in Ireland in 2014, being part of an effort to improve educational opportunities for Irish youth is a natural fit for our firm. We are honored to join other investment firms in partnering with an organization that funds programs and initiatives that focus on education and aim to make a difference to those living in poverty. The educational focus aligns perfectly with our commitment to the growth and development of people in our local community and at our firm. On a personal level, I have long believed in providing educational opportunities for children in need. In fact, I serve as Chairman of the Board of ReadWorks, a U.S. nonprofit organization committed to creating a culture of academic excellence in urban elementary schools. What advice would you give to a firm that is considering being a basis.point patron? Those of us who work in the asset management business are fortunate to be part of a dynamic industry that is fundamentally about finding opportunities. So it’s rewarding to be involved with a vibrant and committed organization like basis.point, which is focused on enhancing and enabling educational opportunities for young people in Ireland.